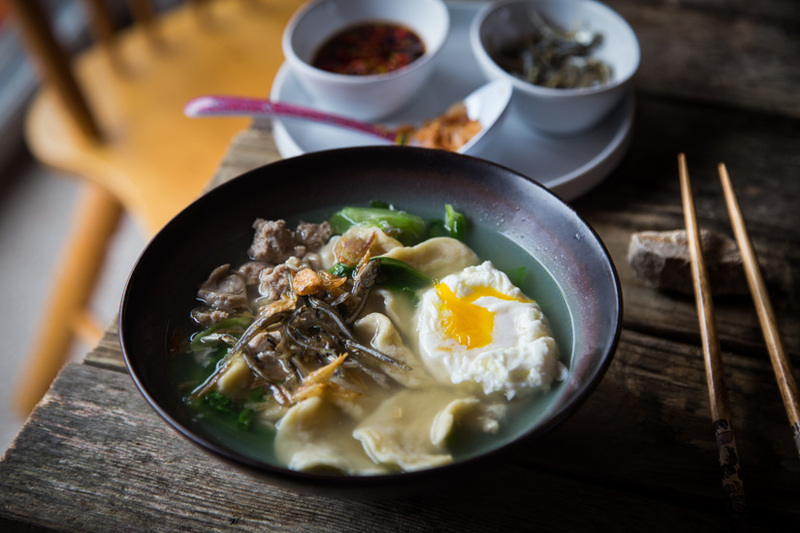 Mee Hoon Kueh (Hand-torn Noodles) – These irregular shape hand-torn noodles are probably the easiest noodles one can make yet it brings so much comfort served in soup with meat and fried anchovies and poached egg. 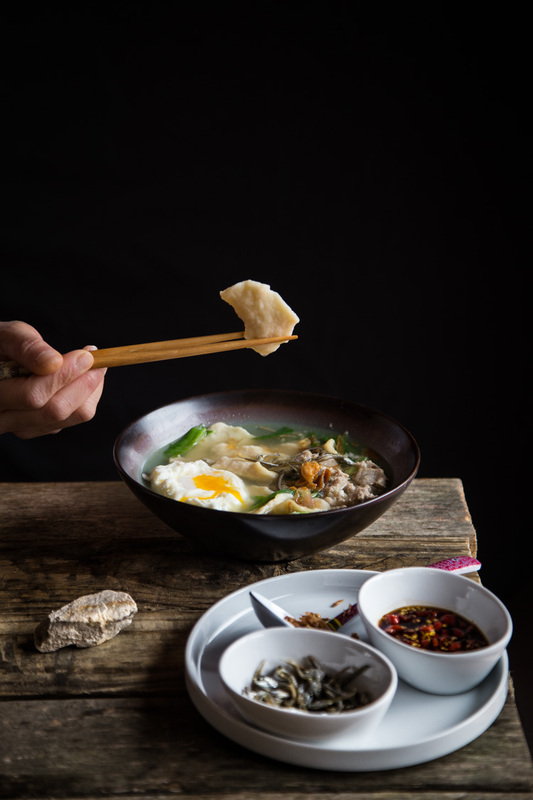 Mee Hoon Kueh is comfort food to many Asian people in Southeast Asia, especially Malaysia and Singapore. The first time I had Mee Hoon Kueh though, wasn’t in Asia. 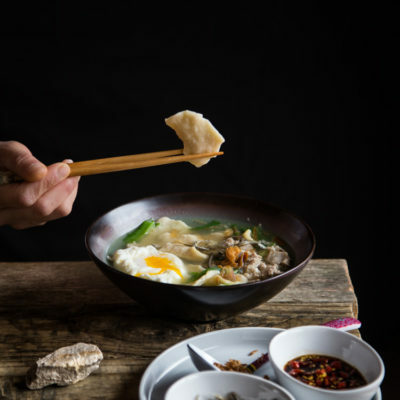 I was introduced to Mee Hoon Kueh for the first time by my college housemate from Malaysia many moons ago here in the U.S. She made it and I wasn’t quite sure what was it that she was going to feed me at that time. I was just so impressed by how she tore all these thin pieces of flour cake into the boiling broth. Man…I’ve never had anything like that before. WHAT IS MEE HOON KUEH? 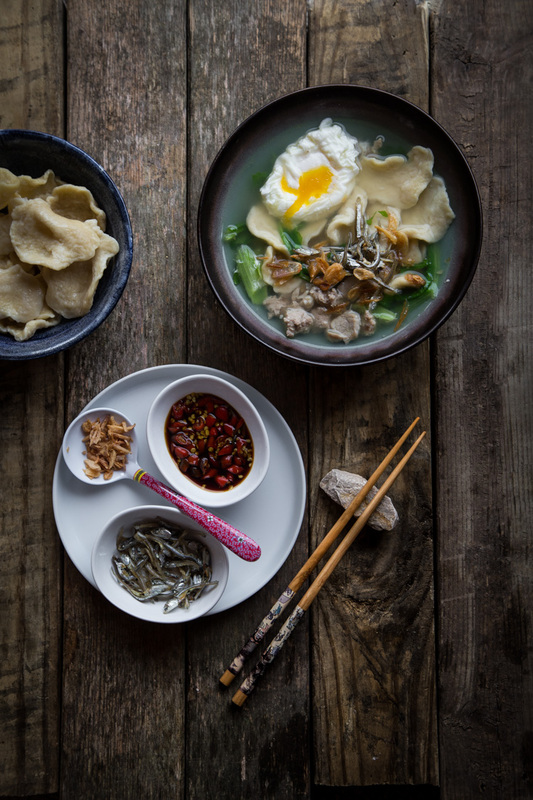 The mee hoon kueh is then served with anchovies-based soup, minced pork, fried anchovies, fried shallots and chili on the side. Since then, it has become my comfort food too. When I moved to Singapore for few years, I had Mee Hoon Kueh or ban mian (flat noodle soup) pretty often for dinner. I did not make it. They are available almost everywhere you go, that’s one of the best things about Singapore. Food..food..food…everywhere! I’m surprised I did not gain 20 lbs just staying there for few years lol! Anyways, back to the topic. I was craving for Mee Hoon Kueh and so I made it 🙂 The husband and kids love mee hoon kueh too. 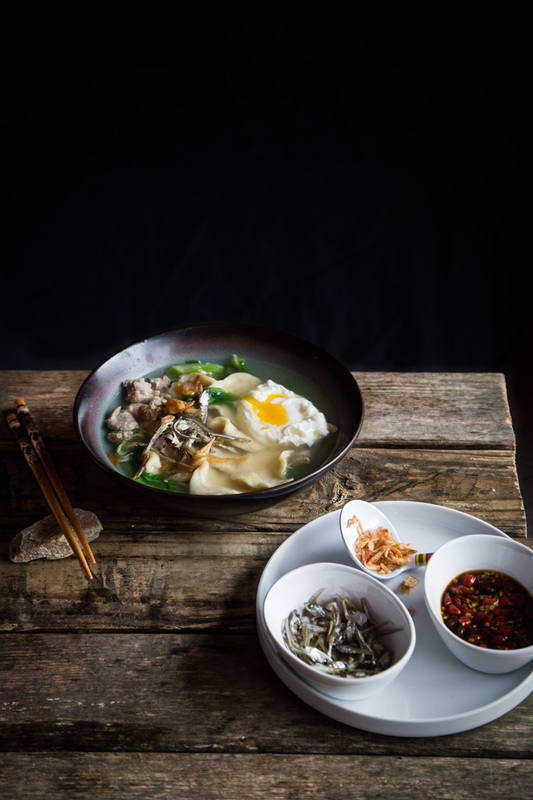 Learn how to make soft and slightly chewy mee hoon kueh served in anchovies-based stock, minced meat, poached eggs, fried anchovies. 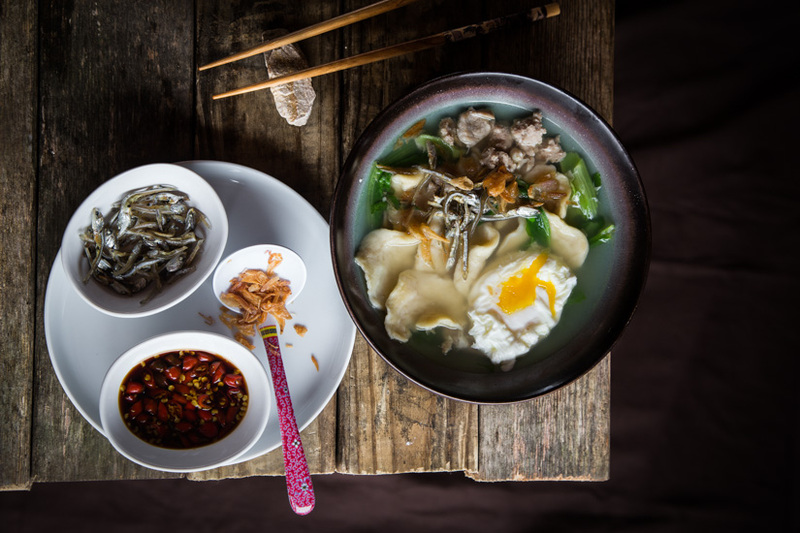 Hand-torn noodle dish is very popular in North-west of China where I grew up. Never knew it was common in other parts of Asia. Your soup sounds delicious. Will have a try! If i make the dough and keep on the fridge for batches, how long can i keep it for? Hi Faye, you probably don’t want to keep it more than 3 days in the refrigerator. I would suggest trying to use it within a day or two if possible.